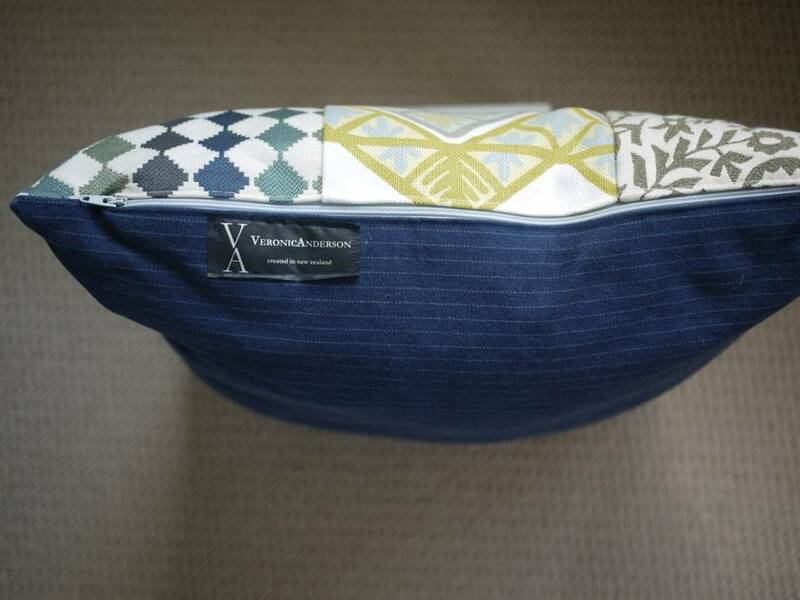 This cushion is a one off design using strong, furnishing fabric pieces. 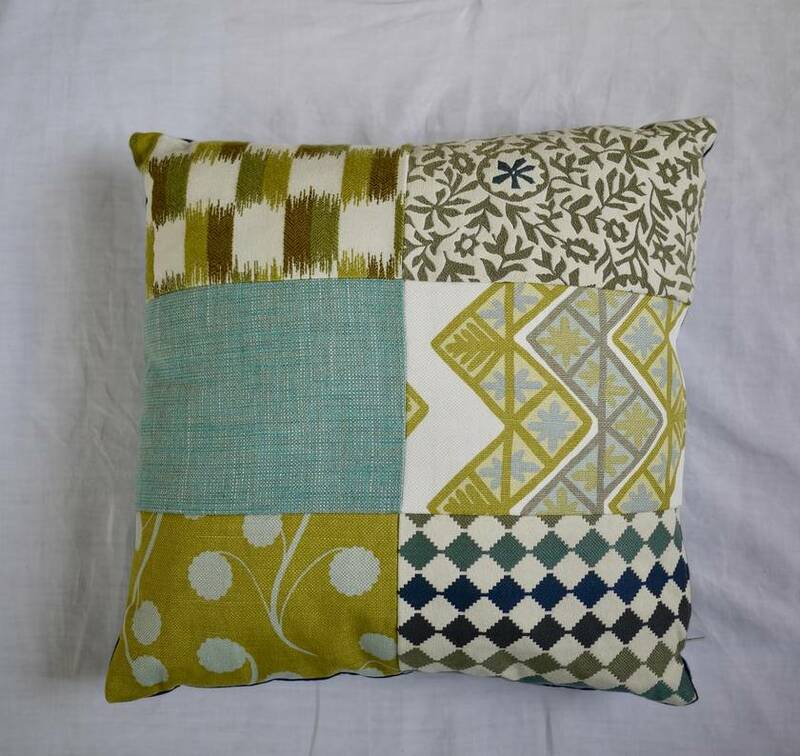 It is visually striking and stylish and would mix in well with some plainer cushions in similar colours or neutrals. There is a side zipper and the inner is an optional extra. The size is 44cm square.